The historical square of Brunkebergstorg, once a favourite spot for the high society of Stockholm of the 19th Century. 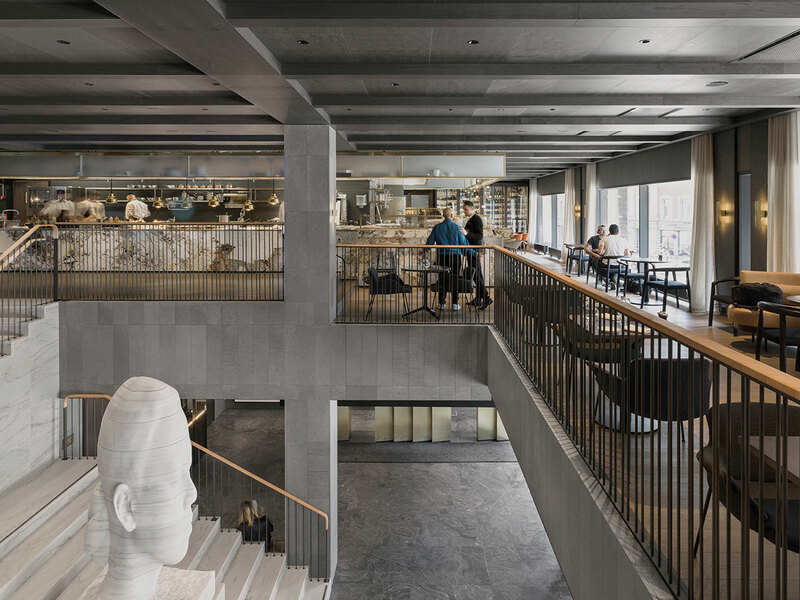 This is the site for At Six in a building that imposed itself in the 1970s on the fluid geometry of the Belle Époque with modernistic rigour. 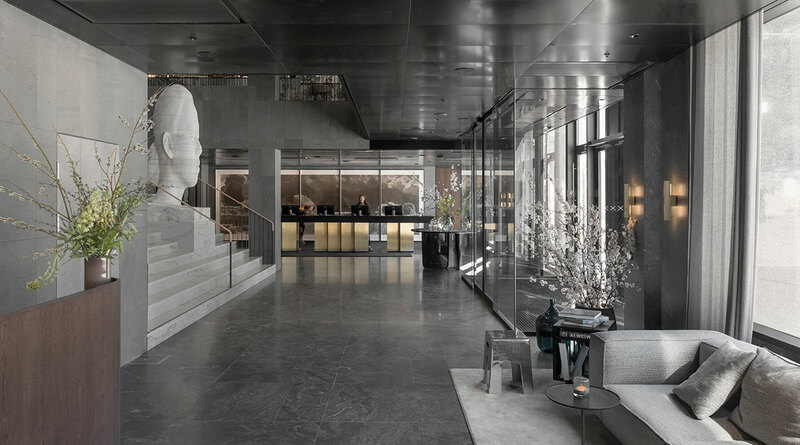 It was designed as a hotel but in fact was used as the headquarters of Swedbank. 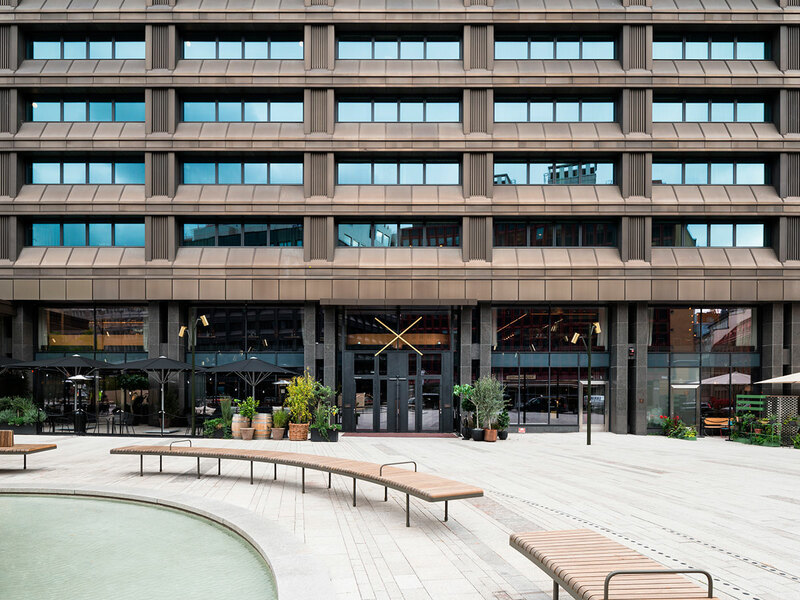 Only recently did it readopt its original function – positioning itself as a new point of reference for lovers of art and design – in the Universal Design Project that reinterpreted the brutalist appearance of the structure and the architectonic landscape of the square through a complete internal renovation and the creation of a new entrance. The lattice “manifest” structure of the facade is reflected internally. 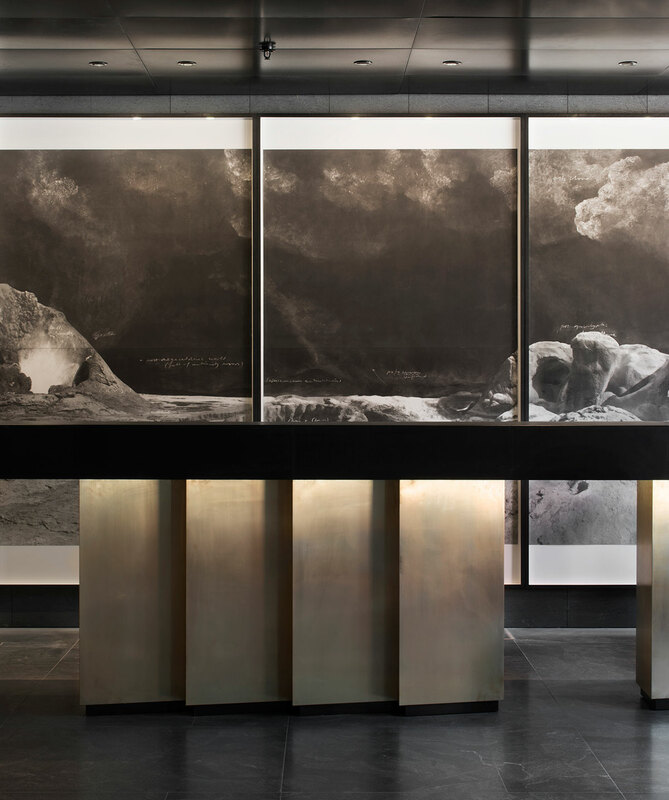 If on one hand the dark tone of the blackened steel and the charcoal and black stones highlight the sense of permanence and authenticity, the hardwood and the shiny granites, combined with the completely mirrored walls and luxury finishes, are a counterpoint and temper the design and the brutalist masses with a touch of lightness and luminosity. 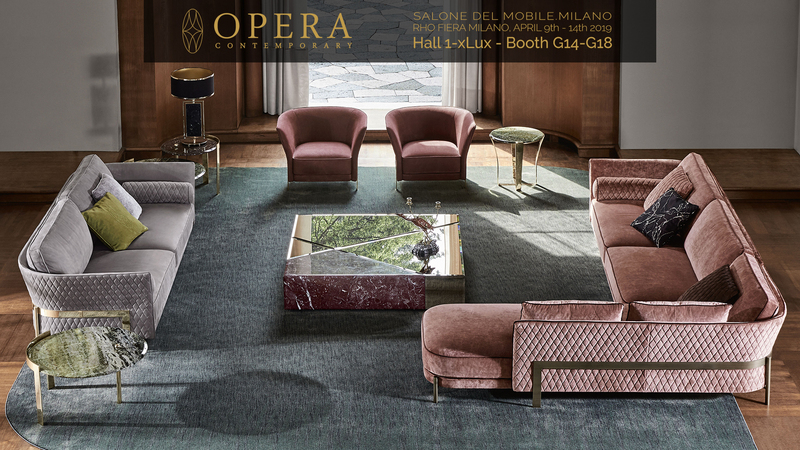 The hotel offers 342 rooms, with 40 suites and a presidential (85 m2) room with a panoramic private terrace. 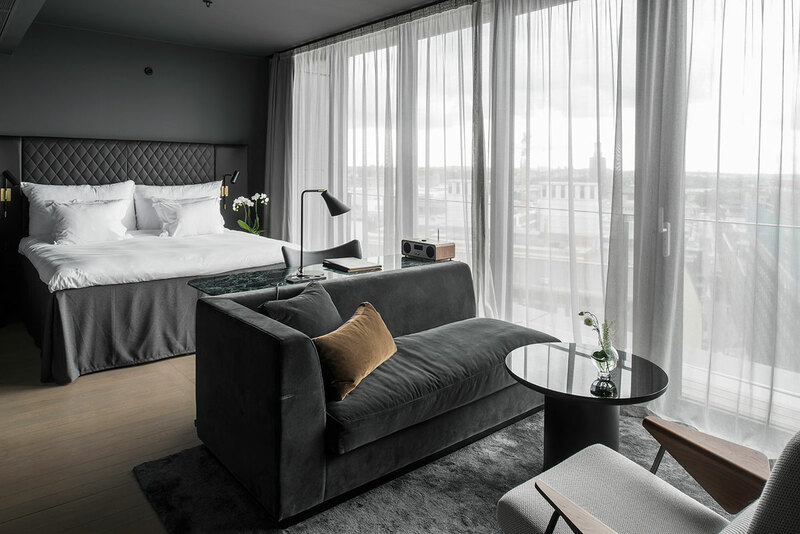 A common feature is the minimalistic and contemporary feel with a combination of Swedish furnishing, from the beds by Hilding Anders with Rubn lights incorporated into the bed heads to the custom made chairs and the velvet sofas, the marble surfaces that run the length of the walls and become resting surfaces for tables, desks and dressers. 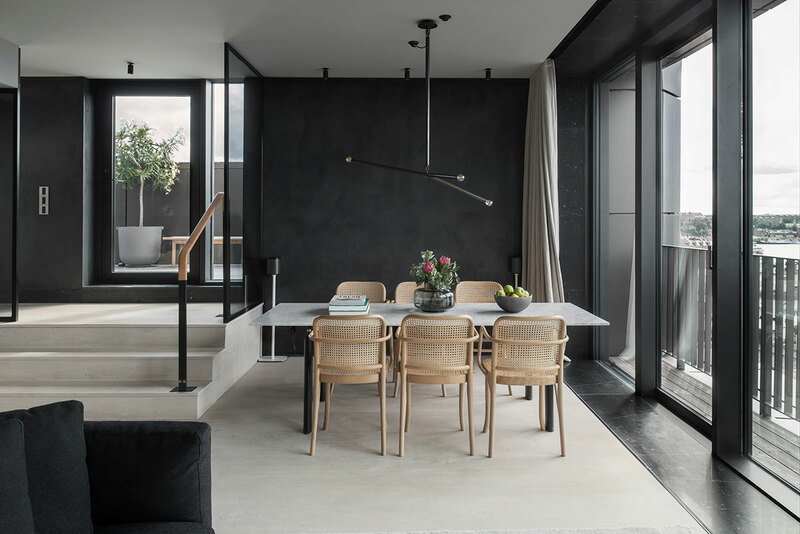 The London studio seeks to convey the image of a luxury multi-functional and dynamic structure in which a genuine union with art is perceptible in all its spaces. 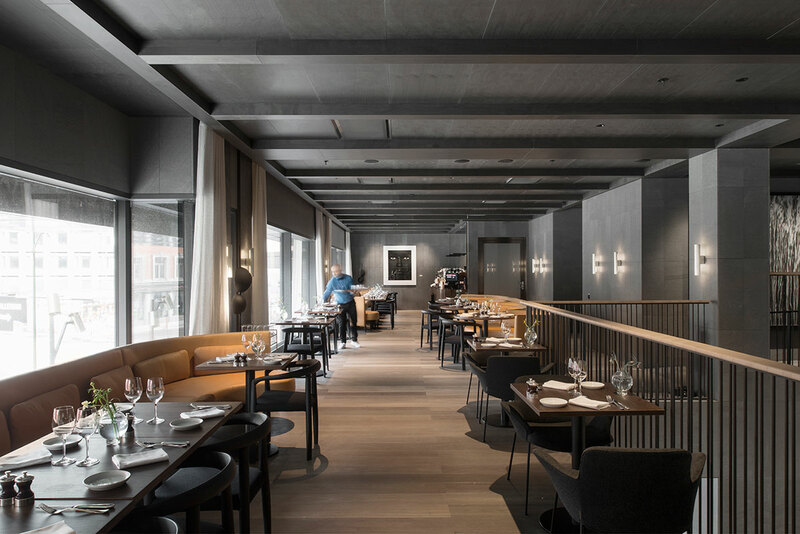 Wine bar, cocktail bar, brasserie, gym, panoramic restaurant and 200 square metres of complementary and opeartive space were shaped based on the positioning of the works of art selected by the curator Sune Nordgren, already the manager of the Baltic Centre for Contemporary Art of Gateshead and the National Museum of Art, Architecture and Design of Oslo. 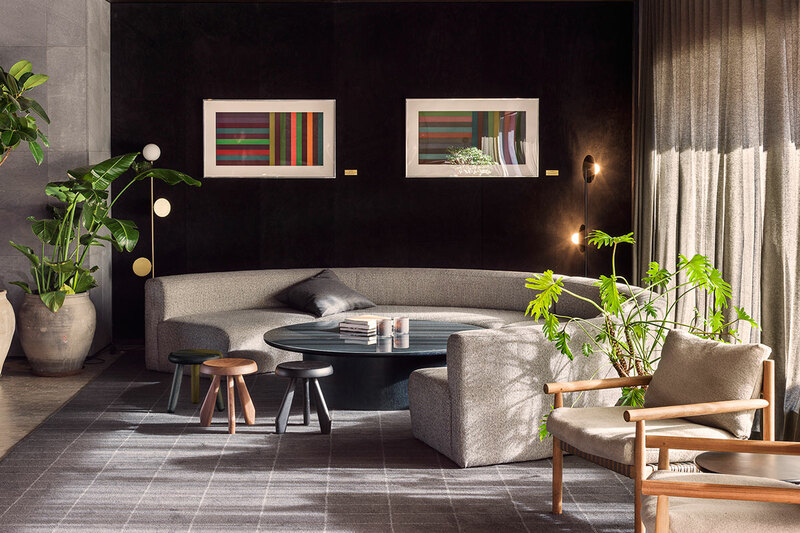 Original works by Olafur Eliasson, Julian Opie, Sol Le Witt, Spencer Finch, Richard Long, Marijke van Warmerdam and Kristina Matousch follow each other in a carefully planned arrangement including corridors and suites. 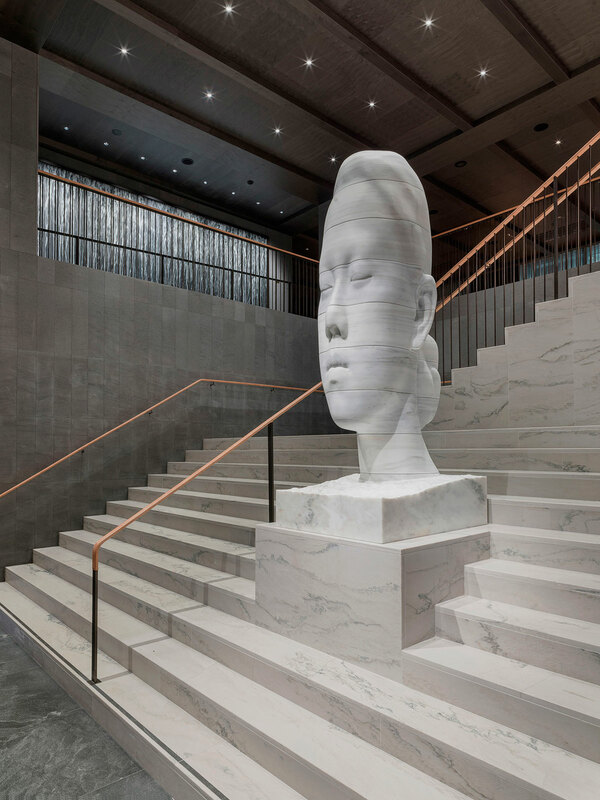 They are heralded by the imposing white marble Man Whispering sculpture by the Catalan artist Jaume Plensa that dominates the lobby staircase and the Quaternary photoengrave by Tacita Dean near the front desk.